A few years back I was given a rather budget telescope for Christmas. Sure it was very basic, but it was this that lighted a fire inside me a fire that saw me get really into stargazing. Over the years I have upgraded my telescope (actually done this a few times, but do not tell my wife) and have bought a ton of accessories such as an astronomy observing chair to help me get a better and more comfortable look at the skies. But today we are looking at some fantastic books. Books that will help you learn more about stargazing and books that would make for a great treat for yourself or a fellow stargazer. 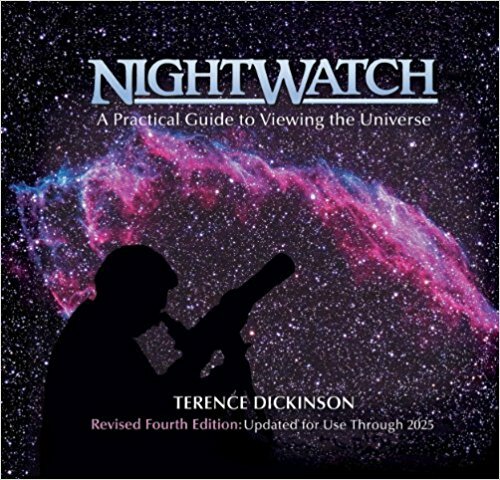 The first book I want to talk about is NightWatch: A Practical Guide to Viewing the Universe. This is an awesome book and pretty much an essential purchase for anyone that loves to look at the stars. This book is actually the fourth edition and over the last 20 years it has sold over half a million copies which mean it is the biggest selling star gazing book. Now this is the fourth edition of the book and the first one I actually have looked at so I am taking it at face value. But to say I was blown away by this book is an understatement. The start charts in this book are seen as the best around and perfect for anyone who likes to look at the stars. While the star charts are awesome. This book also has a very good list of things like solar and lunar eclipses, planet locations and planetary conjunctions which are going to happen up to 2025. There is also some great information about different kinds of telescopes, tips for how to stargaze properly and in general there is just some really cool and interesting information on each and every page. NightWatch: A Practical Guide to Viewing the Universe is the kind of book that you will have on a coffee table and find yourself flicking through time and time again. Also the photographs in this book are just gorgeous! Has information that is good up to 2025! Will make you want to buy even more astronomy stuff! 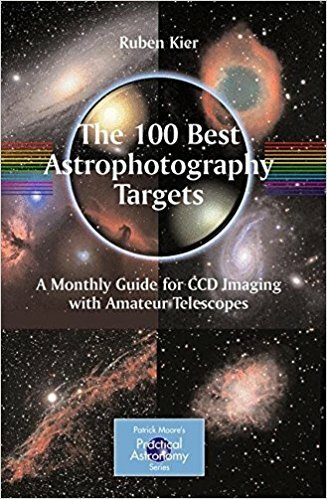 The 100 Best Astrophotography Targets: A Monthly Guide for CCD Imaging with Amateur Telescopes is a very well written book that unlike the first one which I feel could be great for someone just starting out as well as a seasoned stargazer. This book though I feel is more for people who know what they are doing. The idea behind this book is fantastic. It has a guide that will tell you what objects each month you should be looking out for. This can be a huge time saver and also make sure that you do not miss out on anything cool that is happening up in the skies! The author, Robert Kier is one of the best and most famous astrophotographers on the planet. If you want to not just look at the skies, but capture your own breathtaking images then this is the book for you. One of the things I really liked about the book was that I thought it would be a little complicated to follow (and for newbies it might be) but each page has an object, when you can see and the best way to do so. It is a very handy guide to have and something I am sure any astronomer would be very happy to get as a gift. I have heard some people with smaller telescopes say that they have a hard time seeing some of the objects so please keep that in mind. Kindle version has black and white photos! Now this is a really cool book and one that I had a lot of fun with. 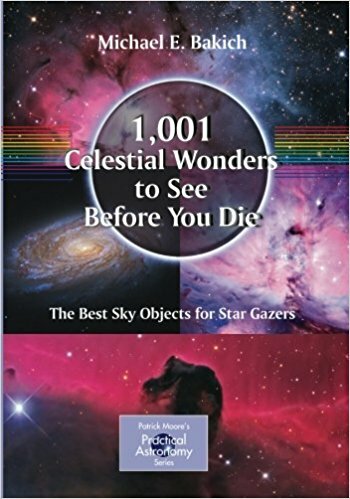 How can you not find a book with a name like 1,001 Celestial Wonders to See Before You Die awesome? This is the most expensive book on this list and one that I have heard is very, very popular with stargazers so getting hold of it may be a little tricky, but there is a eBook version out there. This book does exactly what it says on the cover. From the front to the back it is full of fantastic objects that you can see in the sky. One of the things that I thought was really cool about this book is that all of the objects they have in here are ones that can been seen by medium powered telescopes which is what most first time amateur astronomers tend to have. I really did enjoy this book, but one thing that may take some people by surprise is that there is not exactly a ton of photos in here. As a matter of fact many of the objects do not have a single picture. Now for me this was not a big deal as I was more excited to get out my telescope and see them for myself. But I can see why some people might have an issue with this. Still if you want a good guide book that is full of cool things to see or just want to find a good gift for a fellow amateur astronomer then this would be perfect. There are a couple of things to look for when buying a stargazing book for yourself or even as a gift for a friend or family member. Size: Hey I am not saying size matters, but some of the more photo heavy stargazing books tend to be big coffee table style books which can take up a lot of space. If you have a partner who is sick of your stargazing equipment in general. Adding a huge book to the mix might not go down to well. Who Is The Book For? : I do not mean who is the book for in general, but some books are made for really amateur astronomers and are easy to use even with a less than powerful telescope. But others are aimed at more veteran astronomers with a telescope that is medium to high powered. 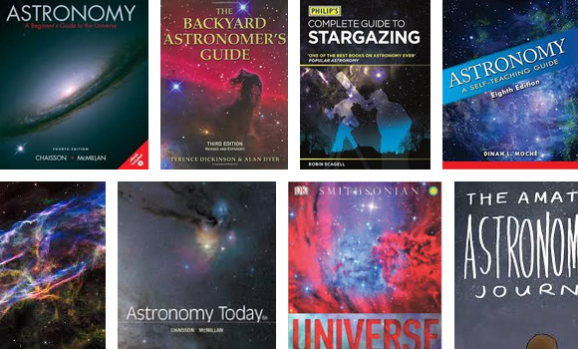 What Is The Best Astronomy Book For Star Gazing? I have to be honest with you guys and say that if I were to get any of these as a gift when I was starting out or even just last Christmas I would have been super ecstatic. Each of the three books is fun in its own way and each of them offers some great advice for interesting objects that you can see in the sky. Still, I know that I have to step up and make a decision on what one of these books is the best of the best and that would have to be NightWatch: A Practical Guide to Viewing the Universe. It is such an awesome book and one that not just has stuff in the sky, but also lots of info about telescopes and accessories as well. Just make sure that you buy the most recent edition of this book if you are getting it.